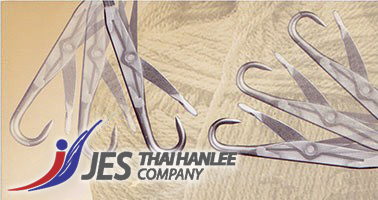 Supporting the textile industries for 24 years, Thai Hanlee Co., Ltd. is recognized as the “sole agent in Thailand” to import needles from Samsung Knitting Needle Co., Ltd. for Circular Knit, Flat Knit (Sweater/Collar), Warp Knit and Stocking Socks from Korea. Since the establishment, Thai Hanlee has served the rising demands of knitting needles for the increasing customer bases in Thailand and overseas market such as China, Myanmar, Indonesia and Bangladesh. Samsung finest needles and professional services provided by Thai Hanlee promote customers’ productivity with high quality and exceptional durability.